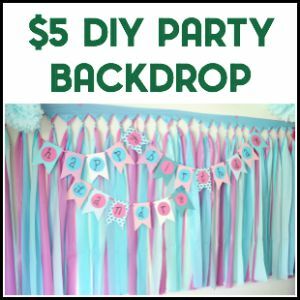 While I realize this blog is predominantly about home decor and DIY, I love that it’s turned into it’s own little beast where I can also write about anything from my ridiculous stories to the latest books I’ve read and we still have good conversations about all the topics equally. That’s why you’re my people. My Freak People. A couple weeks back, we went to the beach – me, Grunt, the Circus, and my in-laws. While we all go to the actual beach of course while we’re there, everyone of us will have a book in hand at just about any spare moment we’re not on the beach playing with the kid. We bring lots of books and make sure we’re stocked up for the week. To run out of books during a beach week would be a damn bad deal. If you were to walk in on us while we’re not at the beach, you may think we’re a family of nerds because we would all have our noses in a book. And that would be just fine with us. You would also think Grunt Labor is the head nerd because he reads all these really smart non-fiction books. I love a good non-fiction book, but he reads this stuff about how people learn and leadership and all that other jazz. He’s a multifaceted gem, isn’t he? 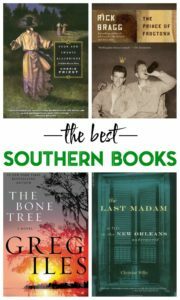 In one post about my favorite southern books, there were quite a few of you who kept saying, “You have to read Pat Conroy!” Well damn, why didn’t y’all tell me that sooner? 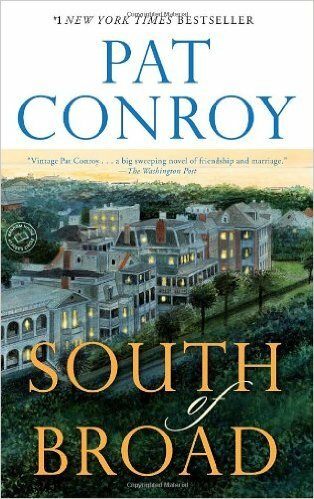 South of Broad is the first Conroy book I’ve read and it has already made my list of top five favorite books. I would describe it as similar to The Big Chill, but southern style and much more riveting and gripping. It’s a tale of family tragedy and how strong friendship can be. I could never do this book justice with a summary. Get it. Read it. You will thank me later. I’ll also be picking up quite a few more Pat Conroy books to dive into. If it’s set in New Orleans, there’s a good chance I’m going to read it. As you all know, NOLA and I are madly in love. 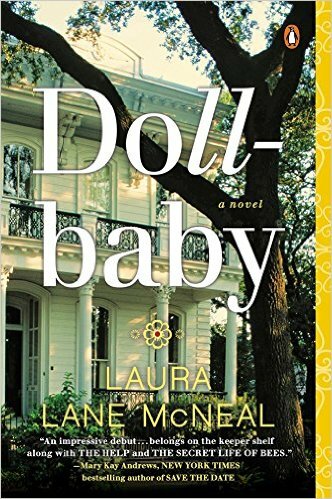 Doll-baby is set in New Orleans during the 1960’s. Ibby’s father dies unexpectedly when she is 12 and her mother sends her to live with her grandmother, Fannie, whom she has never met before. Fannie has a slew of family tragedies and secrets that only her and a handful of people including her cook, Queenie and Queenie’s daughter, Doll-baby know about. Ibby soon falls in love with her wild grandmother, Queenie, and Doll-baby and eventually unravels the family secrets. Doll-baby has been compared to The Help and I’d say that’s a pretty good comparison – if you loved The Help, you’ll love Doll-baby. Hell, if you love wild, eccentric grandmothers, you’ll love it. 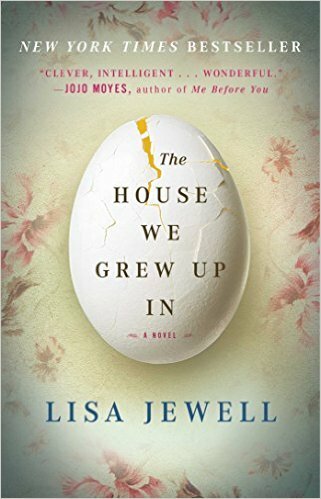 After Doll-baby, I started The House We Grew Up In. This book was probably my least favorite of the ones I read over vacation, but none the less, it was still good. It’s set in England and follows a family over decades of tragedy, betrayal and estrangement. The whole family is terribly troubled over a tragedy that happened one Easter. After their mother, a full-fledged hoarder, dies, they finally discover more details about the tragedy. This one was so good. 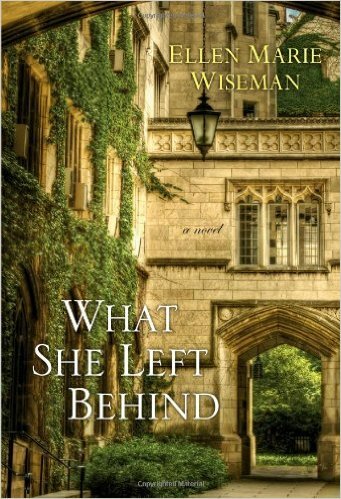 What She Left Behind combines tragedy with a touch of mystery. Izzy’s mother was sent to prison years ago for killing her father. After Izzy’s grandmother dies, she bounces around foster parents. She finally ends up with a couple who is loving and unlike any other foster parents she’s had. They are working to preserve the history of a long closed insane asylum. While helping them, Izzy finds the trunk of Clara who was never actually mentally ill, but still held in the asylum against her will. Izzy works to find out more about Clara and what happened to her and in the process finds out more about herself and why her mother did what she did. What She Left Behind is another favorite of mine. I had already finished The Tradd Street Series by the time vacation rolled around, but wanted to follow-up on them since we’d talked about the series in the last book post. Y’all, this whole series is just awesome. Each book is set in Charleston and centers around Melanie Middleton, who can see ghosts. The main ghosts in each book have dark histories or have somehow been wronged. Melanie and her friend, Jack have to work to uncover the history of each ghost and right the wrongs. My least favorite of the series was The Strangers on Montagu Street, but still it was good. If you love ghosts, Charleston or both, read The Tradd Street Series. Start with The House on Tradd Street. 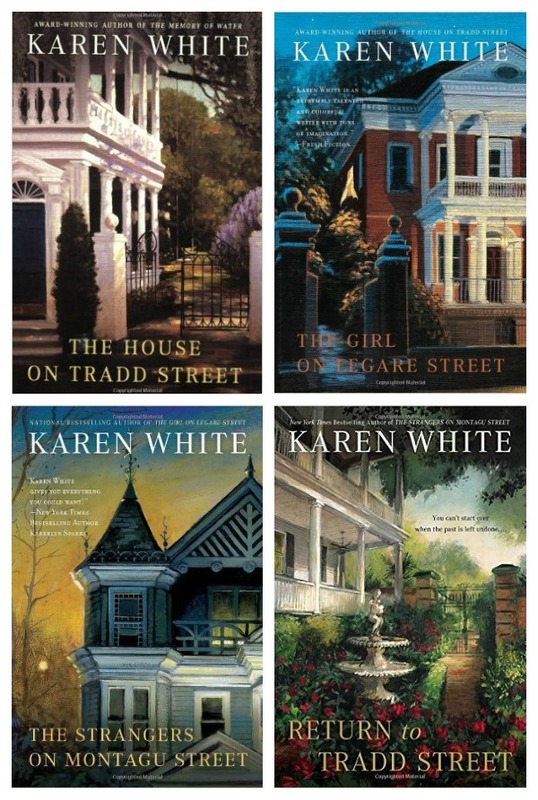 I’ve also heard Karen White is coming out with a new book in this series which makes my whole damn day. Ok, your turn to tell me what should be next on my reading list! What’s your latest and greatest read, y’all? You know you don’t wanna miss any of this crazy. Sign up to get my posts delivered to your inbox. It’s free, of course. Wish I was just discovering Pat Conroy. Sadly he passed away recently and there will be no more books of his enjoy. Next you should read Beach Music or Prince Of Tides. I know, Debra – it saddens me as well. I have Beach Music in my Amazon cart to get next! Beach Music is A.W.E.S.O.M.E! Hope you enjoy it as much as I did! Can’t wait to dive into it, Kim! The Prince of Tides is right up there with To Kill A Mockingbird for me…. on my top ten list of all time, even better than the movie…. much better. Thank you, Debra!!! I am adding some of her titles to my Amazon cart right now! Thanks for the recommendations, I’m always looking for new books to read! Doll-baby sounds great! Thanks for the book suggestions. I love Pat Conroy’s books & look forward to reading the others on your list. Glad I could give you some suggestions, Barbara! 🙂 I just love Pat Conroy now too – don’t know how I missed out on him for so long! I just finished reading Me Before You, by JoJo Moyes. Movie coming out this summer. Very good. Quick read (or rather had to be a quick read as I borrowed it from the library on my Kindle, hahaha) Thanks as always for sharing your library. Oooooo, Beth – I read that one a while back!! I had totally forgotten about it, but yes it was very good! OK – I have to tell you, I hit the library last Friday and picked up South of Broad…..Reading every chance I can, reading it in work too…ssshhh don’t tell! I’m embarrassed to say I’ve never read any Pat Conroy, either – I’ll have to add that to my (huge and growing) TBR pile. Thanks! Have you read the Benjamin January mysteries by Barbara Hambly? I’m not too into the murder-mystery part, but it’s set in 1830s New Orleans (one of my favorite periods) with awesome characters. Haven’t read those, Angie – thanks for recommendation! P.S. – I started Nine Lives – it’s great!! 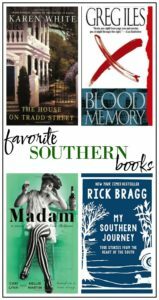 Love Pat Conroy and I’ve been meaning to try the Tradd Street series – I lived on Montagu while I was at the College of Charleston! Girl, get the Tradd Street series. Especially since you lived on Montagu – you will love it!! Thanks for your book suggestions, they’re going on my list. Beach Music is epic Pat Conroy, it will touch your heart. My daughter actually named her little girl after a character in the book, Leah. I was born in New Orleans, live in Baton Rouge. Love the mystique of the south! Keep those book recommendations coming, please. I have 90 waiting on my kindle now. Rosamunde Pilcher is a favorite author of mine, but most of hers are set in England. Of course you will! 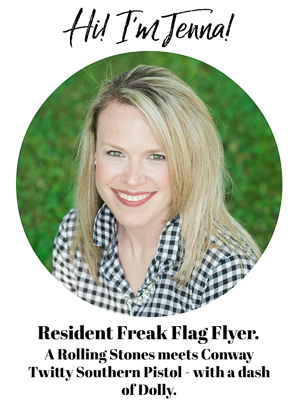 But try not to sing Busted Flat in Baton Rouge… (Bobby McGee, but you knew that). We have good people, good music and great food. And LSU football. What else could a person need? Just don’t come in the summer or you’ll melt. hahahahahaha!!!! Will do, Debbie! Oh, I know – the summer here in Tennessee is torturous – I know it’s 10x worse there! Thank you for the intro to 5 new authors to me!!! I adore reading and have thousands of books on my Kindle. Being without a book to read…horrors!!! I used to have a personal library of over 1,000 books, but storage became a problem so I’ve shared them with family, friends and my local library. I’ll have to save this list and find them at the library! I use to keep every book I read, Susan, but like you – it just became too much! Now, I only keep the ones I really really loved! I’m reading The Last Madam on your recommendation right now. I LOVE it so far….I’ve just started, so haven’t gone too far in to it yet. I have a LONG list of books I want to read lined up, some Pat Conroy is on it, as well as Billy Bragg (who as I’ve mentioned before, I’ve been wanting to read for years!) Yay, bookworms are the BEST! Oh girl, The Last Madam is just amazing. 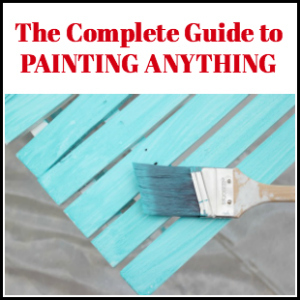 I’ve read it countless times now – it’s one of my top five for sure! LOVE it! 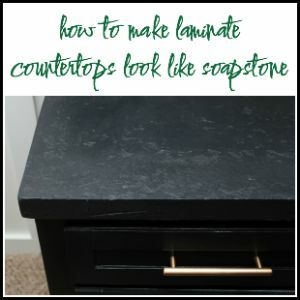 Girl, my heart goes out to you with the wallpaper scraping / sanding / scrubbing. Been there. Done that. Don’t want the t-shirt to commemorate it. A Prayer for Owen Meany by John Irving or The Poisonwood Bible by Barbara Kingsolver. And you, Jodee have just made my day! Thank you for such an awesome comment!!!!! So glad you liked What She Left Behind. I thought it was really good too! I just added your two suggestions to my Amazon cart for when I order next. They both look great – thanks! I’m glad to have another freak along for the ride! I think I’ll get Beach Music to read. I have a sneaking suspicion that it would be great as a audible. I bought What She Left Behind in February but it’s still in the TBR pile. My favorite southern author southern subject book is Fair and Tender Ladies by Lee Smith. Lee Smith is quite prolific, and I’ve read five or six of her books. But fair and Tender Ladies beats all of them by a mile. It’s so much better you wonder if it is written by the same Lee Smith. It is probably in my top seven all-time favorites. Oooo, Karen, I’ll have to add that one to my reading list! I haven’t been able to sit down and read a book in a long time – I’m really missing them! I loved Beach Music – it was a really good one!